This game, which comes with the Wii and does not require an additional purchase, comes with five sports activities. Swing it in baseball or golf, show your tennis prowess, be Rocky for a day during boxing or warm up your bowling arm at the bowling lanes. This game requires the use of a Wii remote and a nunchuck attachment. Resort’s variation of the original tennis game. The rest of the games include sword fighting, archery, wakeboarding, power cruising, canoeing, flying, Frisbee, basketball and bicycling, making for 12 games in all. This game requires not only the Wii remote and nunchuck but also the motion controlled Wii Remote Plus attachment, which hooks onto the bottom of your Wii remote. This requires an additional purchase. but does it offer better gameplay? How do they stack up side-by-side? That’s what we’ll explore in this section of Wii Sports vs. Resort. Gameplay for similar activities: As we learned above, the two games share three very similar activities: bowling, golf and tennis or table tennis. Here are the main differences. In Sports Resort, you get more bowling options than in the original game. For instance, you’ll get to knock down an alley full of 100 bowling pins, rather than just 10. Table tennis is played almost identically to ordinary tennis, except you need to use a little more control and less “whack” with the racket. Golf techniques remain the same, but you’ll get more options for courses and vistas in the beefed-up game. Activity quality: Twelve activities is a lot to pack into one game. It’s no wonder a few of them suffered. Some gamers might view the flight activities as lame. There are essentially three activities in one during this game. You can take a leisurely flight over the resort island, dogfight with another player or go skydiving. Dogfighting is almost a joke, as the plane is not highly maneuverable and does not lend itself to quick movements. The island flyover might be fun once or twice, but it gets dull after that, as it’s not really a sport at that point. The rest of the activities are fun for the most part, and if you liked boxing in the original game, you’ll enjoy sword fighting, which is similar. The only difference is you’re whacking the other player with a jousting stick in an attempt to knock them off the suspended fighting ring and into the water below. Thought-provoking games: The activities in the original Wii Sports really don’t take much thinking or concentration. That changes in the Resort version of the game, where you’ll need to have accuracy on your side for certain roles. Archery, for instance, requires that you adequately time your aim in addition to aligning it with wind and course conditions. Canoeing promotes teamwork and is fairly challenging – and tiring – unless you always paddle in tandem and in the right direction. Even power cruising and wakeboarding take some getting used to, as you must use a light touch with the remote to avoid overcorrecting and sinking in the water. All in all, both games shine in this Wii Sports vs. Resort comparison, but for different reasons. 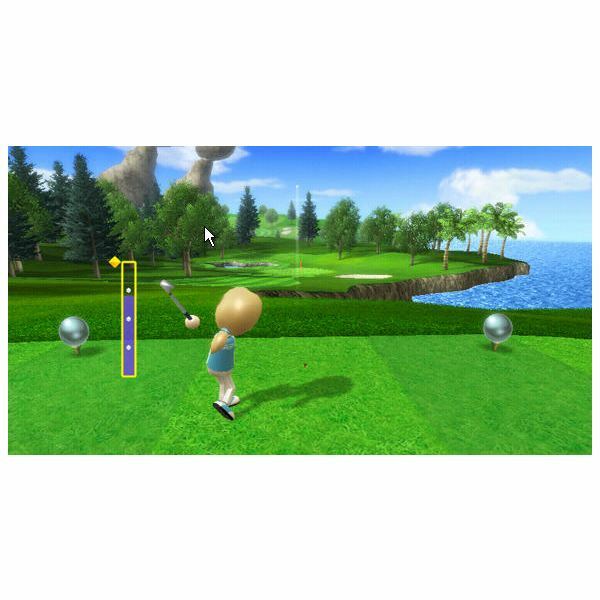 If you enjoy the sports in Wii Sports, then the Resort game will be a good match with your gaming tastes.